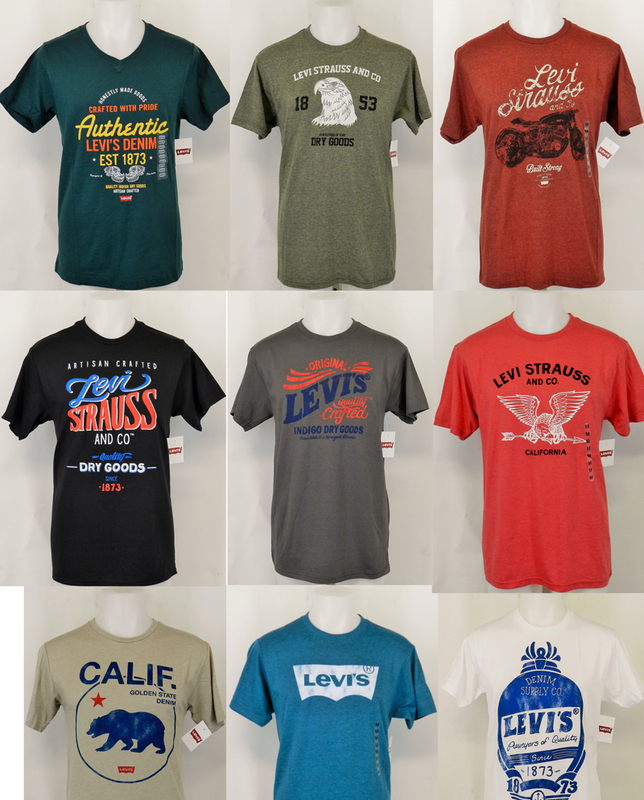 Levis men's s/s tees assortment 48pcs. Case pack: 48pcs. mixed assorted. Sizes: Small to XXLarge assorted. *photos are a sample of styles to expect.